The Best Ski Resorts in Switzerland offers breath taking Alpine scenery, world famous resorts and all year round skiing. Switzerland boasts spectacular mountains, such as the Eiger, the Monch and the Juungfrau, which reach heights of almost 4,000m. One of the most popular ski resort in Switzerland is Zermatt, nestling under the iconic Matterhorn mountain, or Verbier with over 400km of Pistes, or the glamourous St Mortiz. Andermatt is largely the domain of off-piste specialists prepared to hike in order to reach untracked snow and challenging couloirs. More about Andermatt Ski Resort Review. Davos lies in the heart of the Grisons region, offering over 300kms of world-class skiing. 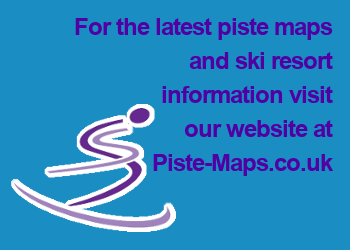 With six different ski areas. The Parsenn funicular offers speedy access to the vast ski area which links up with Klosters. More about Davos & Klosters Ski Resorts Reviews. The world famous ski resort of St Moritz lies on a sunny terrace of the beautiful Engadine valley. This chic and vibrant town, second home to the rich and famous, enjoys a 'champagne' atmosphere with a high quality ski area to match. More about St Moritz Ski Resort. The Swiss Ski Resort of Zematt is surrounded by the dramatic peaks of some of Europe's highest mountains, including the Dom, Monte Rosa and the Matterhorn. This ski resort enjoys one of the longest ski seasons in the Alps. More about Zematt Ski Resort Review.